How does ESSEC prepare us to excel in a Finance career? A career in Finance interests candidates from different backgrounds and specialties. The sheer competition is always a concern for MBA candidates who are trying to break into this industry. With this in mind, how does ESSEC provide the right career guidance for participants in the Finance major of the Global MBA to not only break into the industry, but also excel in it? Every career starts with a plan. Here at ESSEC, the plan has been broken further into 5 key steps. Many of us came into the Finance major of the Global MBA wanting to use a specific skill-set. In my case, it was about combining strategy and finance. Our regular meetups with the Career Services team have helped us to perfect our pitch, challenge our CV, unlock and leverage our existing network, discover how to create a new network in our chosen industry, interview with HR professionals and acquire a lot more skills. Through this 5-step methodology, I have been discovering further not only about the industry but also myself. Along with the career services, the Finance majors also benefit from tailored finance and consulting workshops run by professionals from these fields. Targeted for the complexities of these industries, these workshops have equipped us with the skills, both technical and soft, to break in. We worked extensively on perfecting our cover letters, cracking case interview methods, formulating structure in our fit answers and many more skills. Once we understood what our career goal was, we would need guidance on how to move into that sector. From breaking into a new industry in France to moving beyond France to opportunities all over the world, each of us is allocated a mentor aligned with our individual career objective. These mentors are senior leaders (directors, VP’s, senior managers..) with significant experience in our specific field. My mentor is a Director from a large international bank. The mentoring program facilitates a two-way learning process - it’s not only about going through my career objective and challenging its viability, but also about gaining a strong network on either side and learning from one another. Now that we have learnt these skills, how can we have the face-to-face interaction with the company? 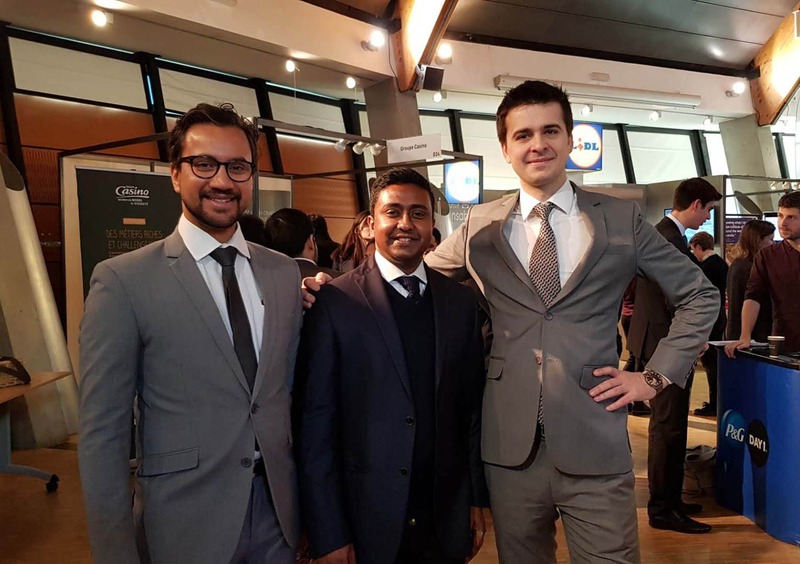 To cater to this, ESSEC organizes career fairs to help participants understand the various industries and build their network. We had one in January where we had over 120 companies attend the event on campus over 2 days. From banks to consulting firms, tech firms to retail chains, this career fair gave us access to companies with whom we could build our network and the opportunity to introduce ourselves to potential employers. All of the skills that we have learnt in the career services workshops are put to use when we interact with employers. Along with the career fair, there are a number of individual company visits which happen throughout the year. Their aim is to give information about the company both in a formal and informal way. With all this career guidance, ESSEC not only equips its participants with the knowledge and skills for the job search, but also to grow to become future ambassadors of the school for the long term. 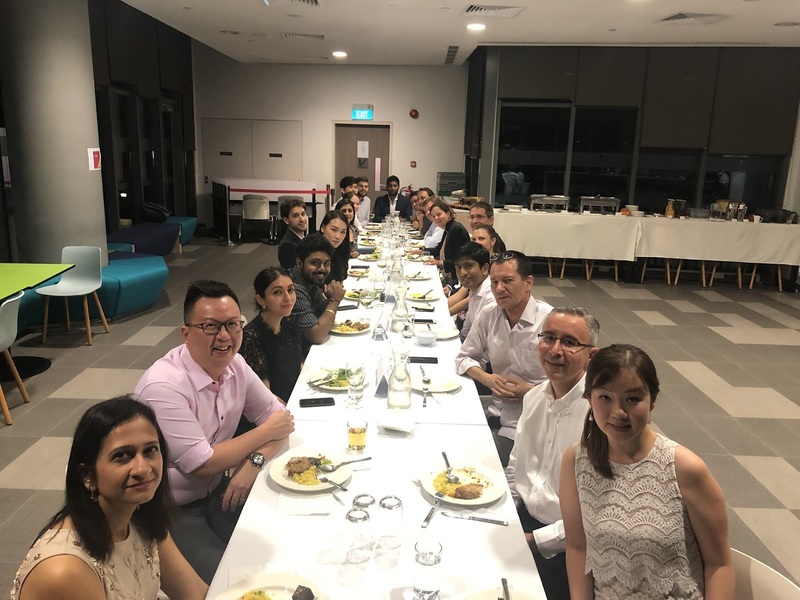 The ESSEC Asia-Pacific Career Services department kick-started the year with the Mentorship Program for the current Global MBA cohort. The key objectives of the program are to give an opportunity to the participants for them to learn from their mentors, to better understand the industry and the function that they are interested in, and at the same build their professional network in Singapore. 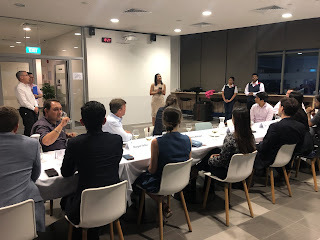 Prof. Aarti Ramaswami, Academic Director of the ESSEC Global MBA program and Deputy Dean of ESSEC Asia-Pacific, delivered the welcome address which officiated the launch of the Mentorship Program. 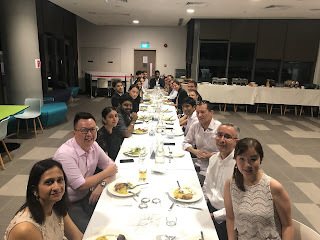 The mentors in the Mentorship Program are all renowned ESSEC alumni based in Singapore currently working in various industries, and have voluntarily devoted their time and energy towards helping mentees strengthen their career plans. During the Global MBA Mentorship Program Kick-Off party, participants had the opportunity to meet and dine with their mentors for the first time, and to have a better understanding of their mentors’ career and industry experiences. This learning will help them to comprehend the current trends and challenges that the market is facing today and how these challenges can be navigated through effective leadership skills. The participants can also learn from the experiences of the mentors across different function and industries, which in turn can help them to navigate job shifts smoothly. This program is certainly an important milestone in a participant's academic and professional journey which leads towards their overall career development. While there are absolutely connections between these sectors, it is key to have an idea of what interests you most among the four. As passion is one of the ultimate differences between working in luxury versus other industries, you should tap into what inspires you, what makes you want to endlessly learn more, and what you can’t imagine living without. For me, the clear answer was the watch industry, given my background in the industry and my undying need to know more and more about the intricacies of the industry. Below I’ll define these sectors and also address what this program does to teach you about the four as well as some of the events surrounding the sectors that are offered by pursuing this degree with ESSEC. In this sphere, you will start by studying the grand maisons, such as Chanel, Dior, and Hermès, and their beginnings. You will learn about the savoir-faire that built each of these great brands into the legends they are. Through this research, you’ll come to understand the collaborations that were inherent to their success. Small ateliers of very niche processes, including embroidery, leather-work, and feather-work, have very little global recognition of their integral presence in the design and production of the couturier's visions. Jumping forward in the timeline of luxury fashion & accessories to today, studies involve the significance of the creative directors. As most of the founders of these brands have passed, in some cases more than a hundred years ago, choosing the creative direction of the brand is the foremost decision. The eras of a brand like Louis Vuitton are marked by the creative directors of the brand. What was the difference between the Marc Jacobs and the Nicolas Ghesquière collections? How did they maintain the brand’s DNA and codes within their designs? These are the type of questions you’ll be asking yourself if you choose to pursue a career in the fashion & accessories sector. As for the events and education offered by ESSEC around the fashion & accessories sector, you will get to meet a wealth of powerhouses within the industry. First and foremost, you will start the program in an Introduction to Luxury Brand Management course with Professor Denis Morriset, a former executive for brands such as Armani & Balmain. Professor Morriset is integral to the Luxury Brand Management program and will be with you in courses and on business trips throughout your time at ESSEC. We also study with top researchers in the industry, such as Prof. Delphine Dion and Prof. Anne-Flore Maman, to learn more about how brands are using data to identify the “Blue Oceans” in the industry. In the first semester of our program, we had the chance to visit the familial home of Louis Vuitton (read more about the visit in my blog post), which was one of the most enriching presentations on who Mr. Vuitton was and his impact on the luxury industry as a whole. For our Alumni Conference speaker series, alumni of ESSEC in the luxury space come to speak to us. In the fashion & accessories sector, we most recently met with Nicole Comeau, General Manager and Chief Strategy Officer of Olivier Theyskens, the namesake brand of the former creative director for Rochas, Theory, and Nina Ricci. During our monthly networking dinners, we are able to connect with other alumni, such as last year’s ambassador, Erin Thibodeau, who now works for Chloé. We are now looking forward to our visits to Hong Kong, Dubai, Milan, and Florence, during which we will be meeting with executives and Human Resources directors of major fashion & accessories brands. Related, but assuredly separate from the fashion & accessories sector, the fragrances & cosmetics sector is undeniably one of the most powerful and profitable of the four luxury sectors. For almost all luxury consumers, fragrances & cosmetics provide the entry point into luxury brands. It is here that you are able to try a Chanel lipstick or Yves Saint Laurent mascara and begin to understand the quality of this level of products. This sector is particularly interesting from a partnerships standpoint. Through your studies, you’ll learn that most of these major beauty brands are actually licensing agreements between the brand and a fragrances and cosmetics producer, like L’Oréal Luxe, Coty, or Firmenich. However, there are some notable exceptions to that structure. There are few large luxury brands, such as Guerlain, that create their products in-house, a trend also seen in some niche skincare brands. The importance of a nose, that is the master perfumer who creates fragrance formulas, is on the same level as that of the creative director to a fashion and accessories brand. Similarly, there are certain celebrity dermatologists who run the concoction of skin care products. In the intensive course on fragrance & cosmetics, you will dive into the distribution networks, licensing agreements, and creative direction within this sector. The Alumni Conferences provide the opportunity to meet with those currently working in this field, such as Elisabeth Visoanksa, founder of her namesake niche skincare brand Visoanksa. Visits to the L’Oréal Luxe & Firmenich headquarters in Paris offer participants the chance to see first-hand how these firms function internally and to connect directly with the top Human Resources Directors. These visits also provide the opportunity for the management to start noticing participants they would like to invite to work on the capstone consulting projects, which take place over the summer. During our international travels, we also meet extensively with fragrance & cosmetics brands, offering yet another opportunity to meet with top executives and Human Resources Directors. As Paris is the birthplace of maisons such as Cartier and Van Cleef & Arpels, there is no shortage of history you can find just by walking through the streets, especially Place Vendôme, the global epicenter of the jewelry sector. Despite being known for its hub in Switzerland, the watch industry, which is of great personal interest to me as my target sector, has quite a few roots in Place Vendôme as well. Abraham-Louis Breguet, the inventor of the revolutionary (at the time) tourbillon, opened the doors of his watch company in 1775 in Place Vendôme and that has not been forgotten. Their boutique in the same location is treated as their crown jewel and is the home to a fascinating museum, tracing the history of the brand from their status as a royal watchmaker through to today. That being said, it is important to see Paris as a close neighbor to Switzerland, where most of the top watch brands are headquartered. The proximity has served to make the industry in France quite strong. 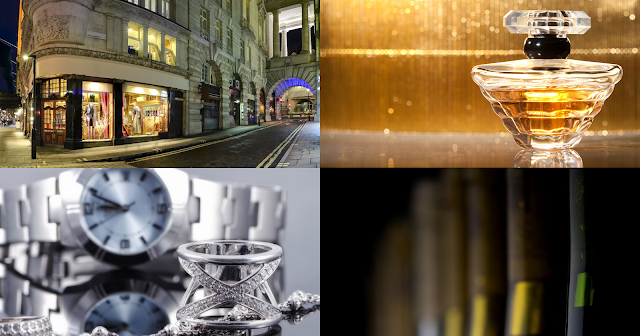 As with the past two sectors, there are plenty of brands that are involved in watches & jewelry as well as a mixture of the others, such as Bvlgari, Hermès, and Chanel. While there are plenty of brands with their own fashion watches & jewelry, these examples have entered this segment as very strong, high quality producers of these products. This industry has developed through much vertical integration, a phenomenon that is not slowing down whatsoever. It was just recently that Chanel invested in Kenissi, the movement manufacture of TUDOR, Rolex’s sub-brand. It’s clear that fashion companies want to be more highly regarded in this field and they are doing so through investments and acquisitions. Our program is closely tied to Van Cleef & Arpels, an haute joaillerie and haute horlogerie brand with centuries as a leading brand in this sector. This relationship allowed us to spend time at L’École des Arts Joailliers, the jewelry-making school founded by Van Cleef & Arpels in 2012. The entire class learned about four elements of the savoir-faire and toured the jewelry exhibit that was showing at the time, about which you can read in this blog post. We have been invited to participate in other courses since, and we will also be connecting with the school which will be touring in Dubai and Hong Kong when we will be there later this semester. In May, we will be traveling to Le Brassus, Switzerland to visit the Audemars Piguet facilities, where we will be meeting with the decision-makers as we have with our other company visits. In the past, there have been capstone consulting projects for both watch and jewelry companies, or one that bridges the two, such as Cartier. Last, but certainly not least, is the luxury wines & spirits sector. Half of conglomerate LVMH’s acronym stands for Moët Hennessy, demonstrating how important this sector is in the luxury world. Pursuing our MBA in the country that produces some of the finest wines & spirits worldwide and in the city that home to the global headquarters of LVMH allows participants of this program to tour vineyards and Champagne caves, to learn about the very detailed processes from selecting grapes through the various stages of fermentation and aging, and to discuss with top executives about trends and forecasts for the industry. Another luxury sector that was born from its relation to royalty, in wines and spirits, many leaders have very old roots, such as Moët & Chandon, which was founded in 1743 and soon became the supplier of Champagne to royal and aristocratic families. Hennessy holds a similar place in the Cognac market with 254 years in existence and more than 40% of the worldwide market share. Hennessy is owned partially by LVMH and Diageo, another significant player in the market. 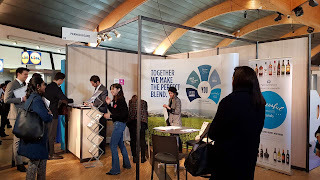 ESSEC’s relationship with LVMH, particularly their brand Krug Champagne, offers participants the opportunity to have a direct connection to this very powerful name in the industry. Another corporate partner of ESSEC’s, Champagne Collet, provides participants the chance of touring not only the champagne caves open to the public, but also the production facility that is only regularly accessible to employees. You can read more about our visit this past September in this blog post. These four sectors, while distinct, almost always have endless connections between them. There are individual brands that act in multiple categories, conglomerates with brands in various sectors, and a significant portion of those working in the luxury industry have worked in more than one of these four sectors. This element of professionals with experience in different facets of the luxury sphere is particularly important. Coming into any aspect of the luxury business from an outside industry is a difficult transition, in that there are certain nuances and particularities that just aren’t present elsewhere. But once you have an understanding of what it really means to work in luxury and probably an expansive network across the sectors, it’s easier to transition between them. Upon applying to ESSEC Business School for the Global MBA in Luxury Brand Management, it helps to have an idea of which of these four interests you most. If you’re not sure, start reading publications, such as Business of Fashion or other sector-specific magazines, to understand the challenges and opportunities in the four luxury sectors today. No matter how many alumni or faculty members warn you that the year flies by, you don’t really fully realize till it hits you! Indeed, the first term went faster than anyone could have imagined. In January, things picked up very quickly, in part thanks to two great visiting professors whom the Hospitality Management majors of the Global MBA are very glad to have! In addition to these two wonderful professors, we had the chance of attending a fascinating job fair which made the last week even more interesting and exciting. 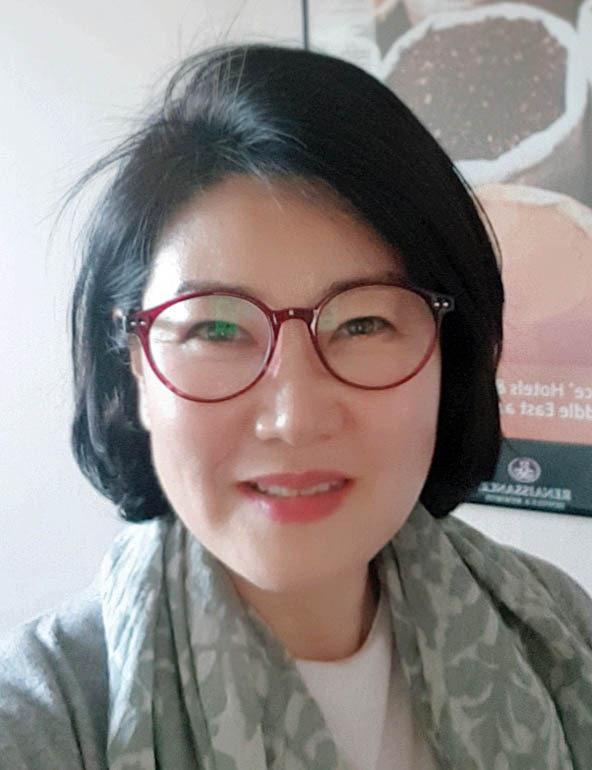 One of our professors is Prof. Sunmee Choi, who hails from the Yonsei University, a Top-Tier Korean institution. Prof. Choi is very dynamic and teaches the subject of Revenue Management in a very passionate way. She has a fascinating industry experience, as in her early career, she worked for priceline.com at the time of its inception. Following her passion for hospitality, she decided to pursue her studies at the Cornell School of Hotel Administration, where she completed her Master and her PhD. She has been a visiting professor at ESSEC since 2003. Understanding the principles of Revenue and Yield Management, which were first developed in the Airline Industry, establishes valuable notions within the context of the Global MBA, Hospitality Management. Discussing different challenges linked to technology, data quality and organizational structures within the context on Revenue Management helps us gain insight into the subject. The skills gained are also transferrable. Indeed, the ability to drive revenue by understanding demand, pricing and inventory can be applied to a vast number of industries, beyond the travel and tourism field. Our second visiting professor is Prof. Giacomo Morri, from the prestigious SDA Bocconi School of Management. During his course, entitled principles of Real Estate, Prof. Morri lays the foundations for more advanced and technical courses in Asset Management and Real Estate Finance to come in our third and final term. Many of the jobs relevant to the Hospitality Management majors of the Global MBA are closely related to Real Estate and Asset Management, therefore Prof. Morri’s course is of utmost importance to us. He has the innate quality of making concepts easy to understand and we highly enjoy his personality and passion for the industry. The opportunity to benefit from courses by these visiting professors, in addition to our courses by the ESSEC faculty, enforces the truly global identity of our program. 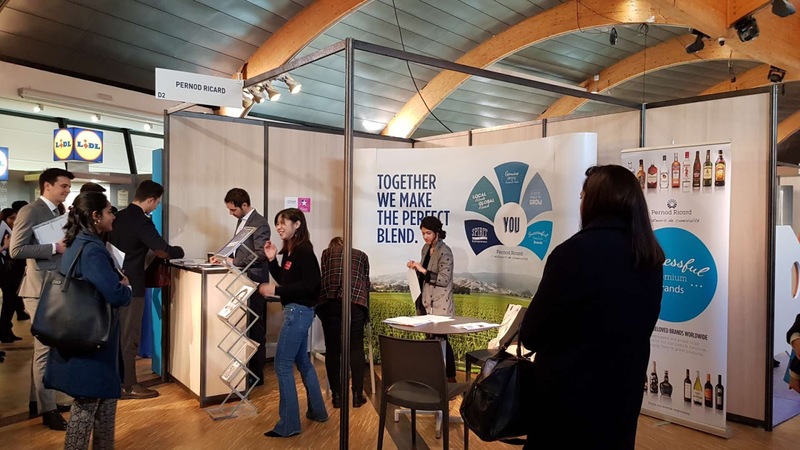 We were also excited to attend the ESSEC Talents Days, a campus-wide event organized by the Career Services Team on January 29th and 30th, where over 130 companies from varied industries were present. 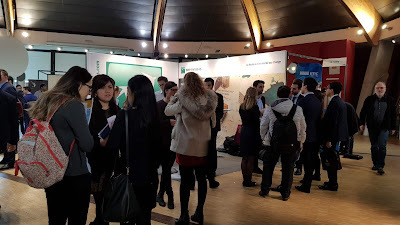 Most of the top consulting and auditing companies, as well as major real estate, finance and food retail companies such as Allianz, Amazon, BCG, Covivio, JLL, METRO, and Pernod-Ricard were present! The Hospitality Management majors of the Global MBA were able to meet representatives from many relevant companies from the Real Estate, Asset Management, Consulting and Food Retail industries. Most participants had the opportunity to speak to interesting industry leaders and make useful contacts during the fair. We are nearly at the halfway mark of second term…stay tuned for more exciting updates to come! For those looking for a foot in the door in the competitive investment banking industry, New York seems to be the first choice considering that it has been the epicenter of financial activity with the most sought-after jobs on Wall Street. It also houses some of the largest investment banks in the world. Though New York has enjoyed an unbeatable top position in this industry, it’s not the only place to be. In Europe, London has a similar reputation for being the hub for investment banking and the financial industry. London offers the maximum number of jobs and internship opportunities in the investment banking industry. Top names including Goldman Sach, Morgan Stanley, JPMorgan, Credit Suisse, BlackRock, UBS, Deutsche Bank, Citibank, Bank of America, Merrill Lynch have their presence in London, so we could say that it would be the best bet for investment banking opportunities. How would Brexit impact the investment banking industry? Once the Brexit kicks in, it would mean loss of passporting rights for UK based financial firms, looking to sell services to clients across the EU. For this, they would have to set up local subsidiaries within the EU and apply for a local licence. So, it would see part of businesses move to other cities in the EU. According to a Reuters survey, among the various contenders, Paris surprisingly, is at the top for London-based banking jobs. According to the survey, 2,280 roles might move on to Paris. Frankfurt bagged the second position by gaining 1,420 roles. The next city on the list was Dublin with 612 roles followed by Luxembourg at 407 as per the report. Other cities that are being considered include Milan, Berlin and Madrid. Stratfor reported the choices of cities for companies planning to make a partial move out of London. MBA Crystal Ball interviewed Claire Gaudissart, Head of the Career Empowerment Team and Marie-Laure Dahan, Career Booster Manager from ESSEC Business School, which has a campus in Paris (France), Singapore and Morocco. Here are some of the insights they offered about the investment banking industry. MBA Crystal Ball: What are the top recruiting investment banks in Europe? ESSEC: The top investment banks in Europe that recruit from business schools are listed below. MCB: What do investment banks in Europe look for in their recruiting process for internships and full-time positions? A positive attitude, interesting personality, hardworking. MCB: How does the careers team at ESSEC help students? How does the process vary depending on their degree? ESSEC: Career consultants meet in individual appointments with students to help them define their career plan, set up an action plan, review their CV, their cover letter, and prepare for interviews. In addition, as the field has very specific requirements, we have external finance experts train our students (training seminars/workshops) and review their applications (CV, mock interviews). The Career Services organize on-campus (job fairs, company presentations, round tables, seminars…) and off-campus events in finance (London and New York trips). 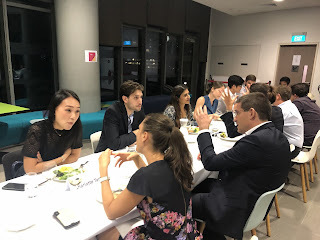 We also connect students with the ESSEC alumni community through events. MCB: What are the common mistakes people make in investment banking interviews? They forget that half of the so-called “technical interview” is based on accounting knowledge. MCB: Can you provide some general tips for investment banking interviews? ESSEC: Here are our top tips for investment banking interviews. Show your dedication and willingness to adapt to the work culture which includes working for long hours and under pressure. The investment banking industry offers a variety of roles – front office, middle office and and back office. Read this article to learn more about the responsibilities and skillsets needed to take up each of these roles. Though the investment banking field may sound glamorous and you may be in awe of the fantastic salaries associated with the field, it’s important you’re well aware of the work pressure, extended work hours, extensive travel and the stressful lifestyle involved before you decide that you’re carved out for handling such roles. Learn more about the dark side of investment banking. Also read investment banking salary in USA, UK, Canada, India: How much do investment bankers make? Getting into this highly competitive industry is definitely not easy. For undergraduates in Europe, many banks offer ‘A Spring Week’, or ‘Insight Week’ usually meant for first year students of a three year course or second year students where the course duration is four years. This internship opportunity can be used to gain industry exposure, pick up some valuable skills and of course, networking. Then therere are longer summer internship opportunities also available. Showing your potential during these internships may help you land a full-time job once you complete your program. A CFA qualification and a Masters in Finance can also help get into investment banking. An MBA program, though the most expensive route to get there, also sees top recruiters hiring out of the reputed business schools. Your alumni network can be of great help. If you do not have any prior related work experience in this field, it would be worthwhile doing an internship before commencement of your program. Read how to become an investment banker. Here’s how the process works – Applications usually require you to fill in details related to personal information, academics, work experience and the role for which you’re applying. In this round, you’d be required to answer questions through which you ‘d have to demonstrate that you’re a right fit for the job. Be very careful to avoid grammatical and spelling errrors while answering. Next would be an online test to assess your verbal and numerical skills, it may include testing your logical reasoning skills as well. Next comes the biggest challenge – the assessment center (comparable to the Superday in the US) where you’ll be assessed along with other short-listed applicants. Candidates are expected to spend at least one full day here where they would be required to complete case study (and role play), presentations, group exercise and interview rounds. The time you spend at the assessment center is quite crucial, as you might be observed and judged for multiple aspects, based on which the final decision would be made. So, give yourself enough practice with sample interview questions so that you are familiar with the structure and the length of the responses; let the answers be succinct instead of lengthy narrations. Your body language, the content of your responses (especially focussing on what sets you apart from the rest) and the way you communicate can make a huge difference. Read how to get into Goldman Sachs. Keep your CV updated and customise it to line up with the job profile you’re applying for. Keep your cool throughout the process and give it your best shot! Read more about the top bulge bracket investment banks. This article was originally published on MBA Crystal Ball.